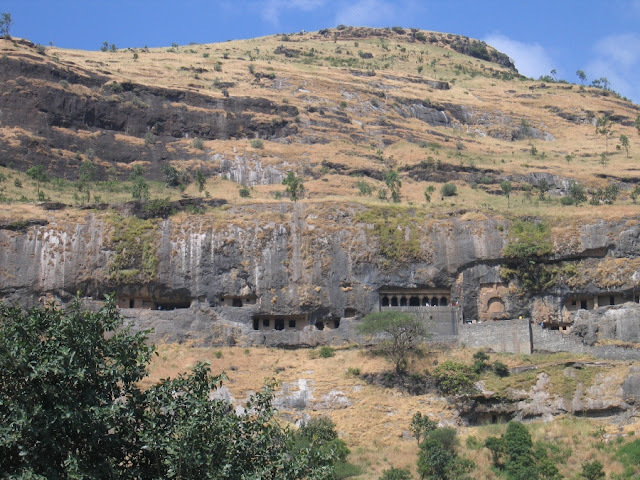 This time our trip in Maharstra was a holy trip to several temples. My sister’s family, uncle’s family and I set off on this journey on a Saturday morning. My cousin and I enjoyed the back seat discussing the game - Age of empires which is my latest craze. We first stopped at Ranjangav which has one of the Asta vinayaka’s. 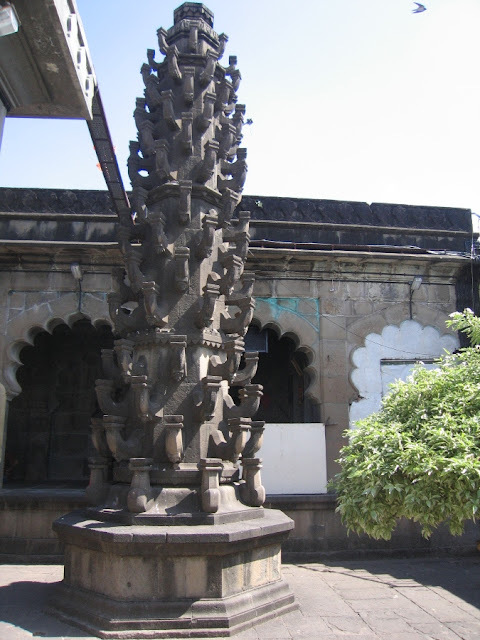 Maharastra has 8 udbhav (Naturally formed) Ganesha idols. We had good delicious Prasad as lunch at the temple. From here we drove to Shani Shinganpur. This is a very sacred place. A stone symbolizing lord Shani is worshipped by devotees. We performed few puja and then drove to a near by temple called Renukamatha temple. This temple has interiors covered with glass. The temple was built in 1954 and the glass work was done in 1988. It also houses a Yajur Veda school. 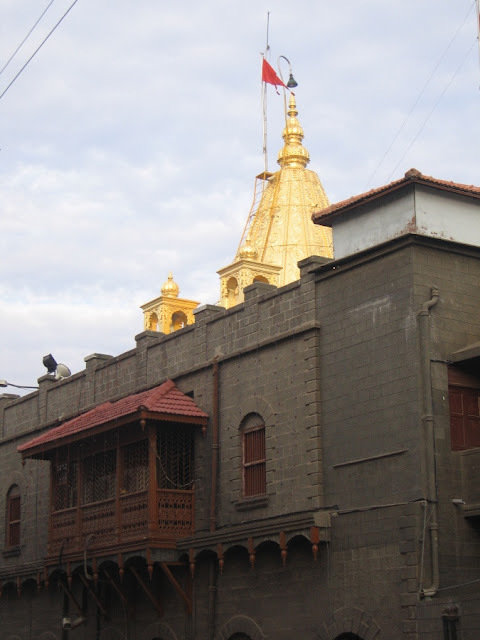 Our next stop was Shirdi. We reached there by 9:00 PM and booked a hotel. All the lodge owners say any rate that they wish; we have to bargain a lot for a decent price. Since it was late in the night, we hardly had any difficulty in getting darshan at temple. 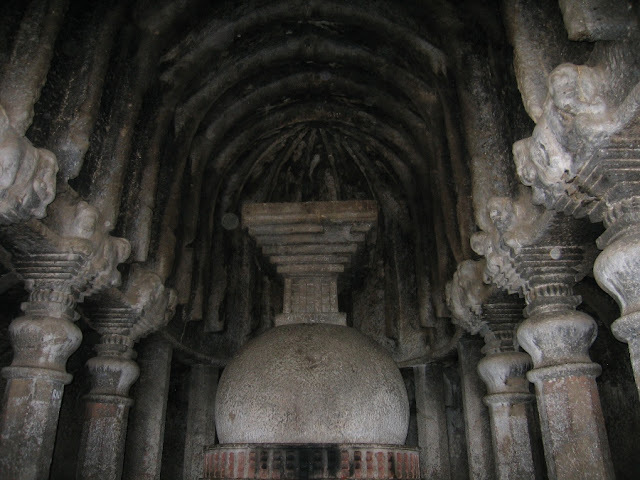 Next morning, my cousin and I walked back to the temple and saw the museum, Chavadi – were baba used to live and sacred fire lit by baba that is not let to die off till date. We then drove to another of Asta vinayaka at Wojar. It’s a beautiful place at a bank of some river. Our next stop was another of Asta vinayak at Lenadri. This place is really cool and the main shrine is in a cave on top of a mountain. It was a good hike. From here we drove to Bhimashankar temple. 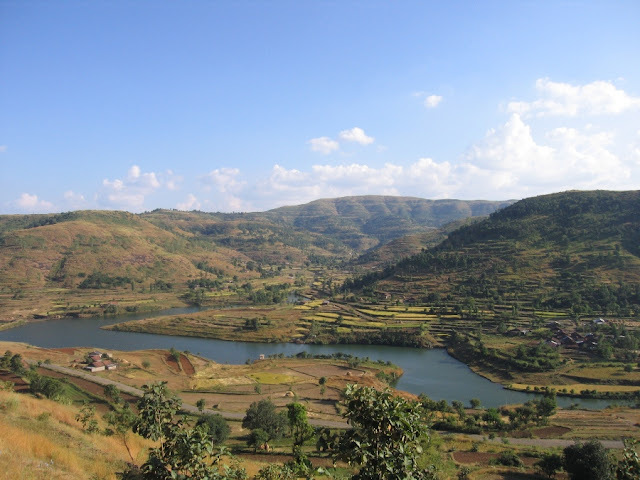 The drive is simply amazing; through the Western Ghats; truly mesmerizing views. On the way we saw Bheema dam. 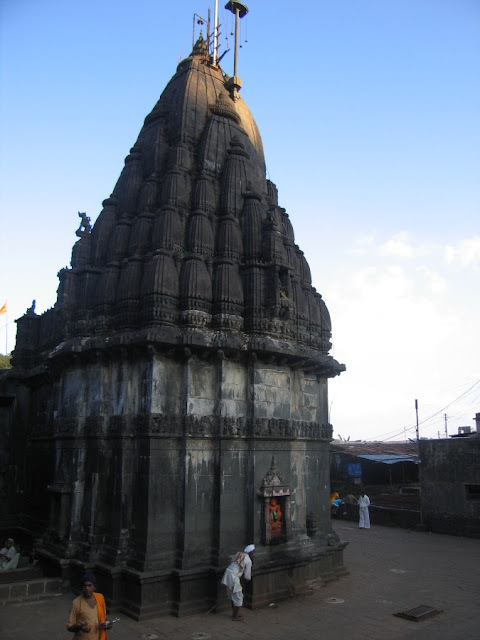 Bhimashankar Temple is 800 years and has beautiful stone carvings and also is famous for the Jyothirlinga. Rest of the days I relaxed at my sister’s house in New panvel. I took a bicycle ride around panvel one morning and most of the time just relaxed my mind; watched “Jab We Met “and liked it. I Tasted maharastrian food like Dhabeli, Vada Pav and many more dishes that my sister prepared. New Bombay has good wide roads and the infrastructure is well planned. There is a mall craze here; lots of small malls. Deepavali is loaded with crackers, much more than anywhere I have seen. This trip was much relaxing one for me to be with my sister and her family. More than that, I enjoyed exploring myself even more. Silence conquered me and mind began to wash away my issues. Few breaks like this where one can just simply think the least about all the tensions and allow it to dissolve themselves is a very good medicine I think. Some more things about new Mumbai. Yes, the roads are wide & planned in Navi (new) Mumbai. The new international airport is also coming up there.. much before Panvel. Mumbai's Deepavali is nothing compared to Delhi's Deepavali. :-) Go to Delhi once to celebrate it. Glad that you had a good time there. Yes it was nice tour around Maharastra. Yes I do recall about the new int Airport near Panvel. Thats good and I like the place. People follow traffic to a decent amount, unlike here in Bangalore. But I disliked the weather as compared to Bangalore. it is much cooler here now. 12Deg last night! Delhi is it? should be going there sometime. spirituality is more internal than external dont you think so ? You get an inner peace and you start exploring within yourself ..I love the architecture of some of these temples ..
my old office (head quarters ) used to be in vashi ..
Hey Ajeya,good 2 c ya n nice reading ur blog. Mall craze is here in Delhi too. Do visit Delhi sometime. @Backpacker - Yes indeed...spirituality is more internal. I have written several article on this subject and is one of my fav topics. Loved the nature scene most (second from below)! But that is typically me. woow the photos are amazing indeed!! boss went to Mumbai on honeymoon. i wish i can go there too! !